The lovely dawn is spreading its wings slowly and gradually over the nearby hills of Thandiani. I am sitting in a rocking-chair, waiting for a cup of sugar-free black coffee while looking out of the window pane. I can so feel the cool breeze and mesmerizing beauty of the rising Sun in the East. One wonders, if it is not the sweltering summer season, griped over the Subcontinent in Asia; yet it could surely be assessed because I am at my newly built official residence. 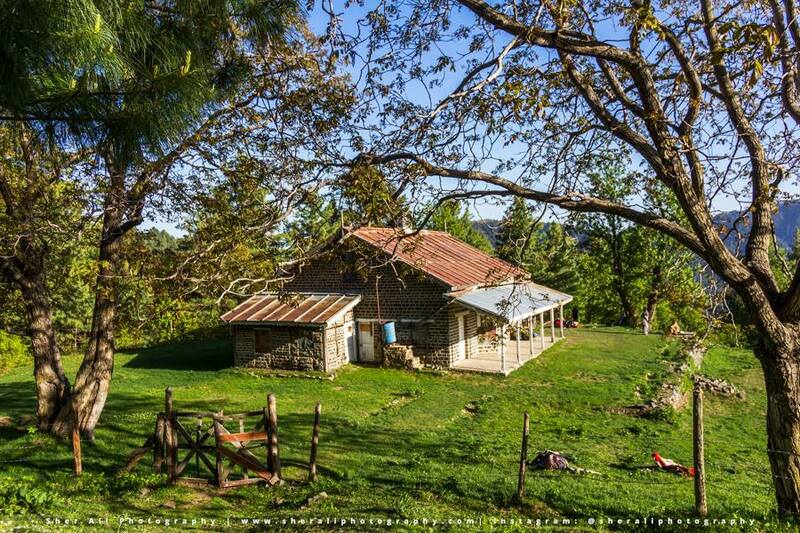 The Dagri Bungalow is in the vicinity of Thandiani, the coolest part of Abbottabad. 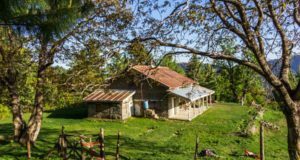 The elevation of Dagri Bungalow is about 8,923 feet (2,720 meters) above sea level. The actual name of the place is Dagri Nakka which literally means “The Lion’s Den”. Therefore the place wholly redefines its meaning because there are a lot of Leopards, leaping here and there. The Bungalow is constructed by the Sarkar Bahadur (The British Government) for the residential purpose of Security Officials, so that the staff could work amid cool and comfortable atmosphere of scenic and serene city of Abbottabad, in KPK. My Butler has just arrived with the cup of coffee and as soon as I finish it, my Secretary also appears on the scene, to keep me updated for the agenda of the day ahead, including the expected tour by the Viceroy of Hindustan. Because I am a Security Head, that’s why I am leaving for the office to resume my official duties; where I will have to check all the necessary security measures before the arrival of Viceroy to the area. On the way to office, I am fully enjoying the lovely weather, breathe-taking scenery and the beautiful patches of dense jungle, along the trek. The Secretary is escorting me; while we both are discussing the important issues. Suddenly the Secretary smells a rat and instantly gets disappear from the scenario. I try to evaluate the situation when I saw a Leopard standing on the trek and staring at me with a furious gesture. It is getting nearer and nearer to me with every passing moment but I can do nothing to counter it. I am frozen with fear, stand still; neither move nor run away. The Leopard is getting closer and closer, with all its wild fierceness and all of a sudden, it jumps over me with a loud roar. An uncontrollable and horrifying shrieeeeeeeeeeeeeeeeek comes out of my throat and it didn’t stop until I heard the scuttling and door slamming. . . . . . I woke up sweating; ahhhhhh it was a terrifying dream and thank God it was just a dream. What happened? Are you OK? Why are you screaming? She might see a dreadful dream! I opened my eyes with a jerk and Phew! It was a mere dream, again thank God..
Jaam Saqi is holding my hand and Adarsh is holding a glass of water. There is literally no Bungalow, no butler, no secretary, and above all no Leopard at all in the sight (sigh of relief). I cannot afford any princely benefits at the stake of my life. I need to show the back to the horrible and tragic dream of the past, in which I was torn into millions of pieces by the greedy Leopard, yuckkk! 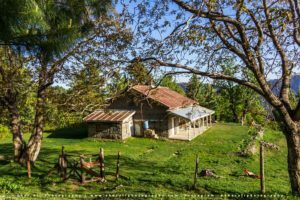 Just come to the normalized phenomenon and let’s turn a whole new leaf of the new life with a joyous note and let’s start the renewed journey towards the Dagri Bungalow Rest House, located in the suburbs of Kutli, a Mohallah of Phalkot in Abbottabad. Khyber Pakhtunkhwa Province of Pakistan. The Bungalow, originally constructed as a residence for the security personnel. He was the person who looks after the forests of the Galliat. The officer was appointed by the British Government. But soon after the partition the position was handed over to the Ministry of Forests, Government of Pakistan. The Forest Ministry tried to preserve its entity yet the building was badly shaken in the 2005 earthquake and now it is on the verge of destruction, it could rightly called a haunted house. However the treks, leading to the Bungalow are the most beautiful, adventurous and famous for the haunted stories. Thandiani means the “cool breeze” in local dialect, due to cool breeze from the surrounding mountains of Nathia Galli, Kohistan and Kaghan valley. 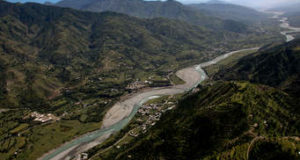 It complements the atmosphere of the hill-station and makes it the most pleasant one. The leading road to Dagri Bungalow is in good condition and accessible almost all the year round. In the winters, the mountain peaks around Abbottabad, are full of snow and makes the weather quite chilly. The first trek is long but the easiest and the most beautiful of all other ones, although the hiking looks slightly tough at the beginning. The Miranjani trail, separated from the Dagri Bungalow trek lies just in the foothill of Miranjani top, which is the highest Peak in the Galliat. Its elevation is almost 9,776 feet (2,980 meters) above sea level. 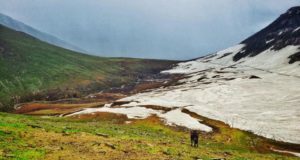 A lush green beautiful trek leads to Thandiani from Dagri Bungalow and equally enjoyable for the hikers, trekkers and the adventure loving souls. Second trek is almost similar to the Miranjani and it starts from Thandiani, towards Beeran Galli in descending to Dagri Bungalow Rest House. It further leads to Miranjani Top to Nathia Galli. Because it is comparatively an easier trek, that’s why, almost all the professional trekkers start their debut trekking and hiking life with camping on it. There is a fresh water stream, at the distance of five-minutes trekking downward to the hills from the Rest House. The trek which starts from Beeran Galli to Dagri Bungalow is approximately a 16 kilometres of ascending and it could be finished, just in a day. Densely forested area of Quercus (Burongi) makes the trek enjoyable and refreshing; where some the trees are old enough, perhaps hundreds of years old. If the clear weather persists; the Sunset from Dagri Bungalow reflects a magnificent view and looks quite stunning. Beeran Galli is at a distance of eight kilometers from Thandiani and there is small market, with a few shops. Forest Rest House, Beeran Galli is available for accommodation in the village. The third trek is from Phalkot. It is the shortest one but hiking on it is somewhat difficult. It takes two hour of consecutive trekking to reach to the Dagri Bungalow. 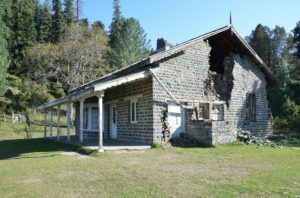 Although the original building is damaged and repairable yet a three-room shelter-hut is available for the accommodation. A watchman looks after it and he also extends his services to the tourists. It is a dangerous place for camping, because the Leopards will leap out of their Den at any moment of night, in search of the food and could harm the campers. I am Fehmeeda Farid Khan;. I'm a Freelance Content Writer, Reporting Analyst, Translator, Tour Consultant, Proofreader, Environmentalist and Social Mobilizer. I write Poetry and Novels. I have translated a book entitled "The Art of the Interview Skills". As a Physically Challenged Person, I extend Advocacy by speaking on Disability issues. I would like to excel as a Motivational Speaker. I have worked in different NGOs as Peer Counselor and Reporting Analyst. I am working for Environmental Awareness and intended to impart it through my writings. I am Masters in Economics and English. I have an additional degree of Bachelors in Education (B.Ed). Thank you Emaan. I will need your motivation always. Excellent write up to reflect the true beauty of the mountains. I am really obliged to you. It’s my fantasy story though.